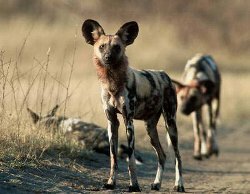 A rare opportunity to visit wild dog conservation projects in Mana Pools and Hwange National Park with Canid Specialist Dr Greg Rasmussen and naturalist Stephen Mills, and re-discover Zimbabwe’s wildlife and to see one of the Seven Wonders of the World – The Victoria Falls. 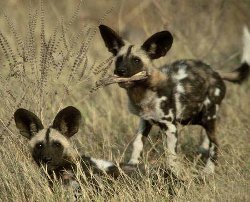 The first trip of its kind is to see African Wild Dogs in Zimbabwe with Dr Greg Rasmussen, who in 1992 founded Painted Dog Research and is Director of Painted Dog Conservation. 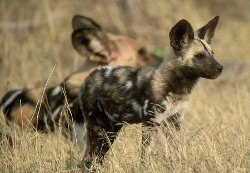 You’ll visit his projects in Mana Pools and Hwange at a time when the dogs are more localised, denning observations are best and there is a good chance of seeing pups. Greg is a senior conservation biologist who spends almost all of his time researching African wild dogs in Zimbabwe and other African countries. He is very excited about that this trip and to have the opportunity to show you his work first-hand. He is planning some very special visits for you. Co-hosting this innovative trip will be Greg’s long standing friend, African wild dog supporter and wildlife BBC film-maker; Stephen Mills. Contrary to perceptions, there are no travel restrictions for Zimbabwe, it is safe to visit, the wildlife is excellent and you get to see one of the Seven Wonders of The World – The Victoria Falls. 8 July Drive to Victoria Falls. Farewell dinner. 10 July Early morning arrival in London. 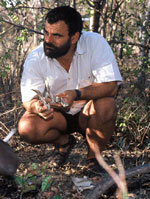 Dr Greg Rasmussen, is Director and founder of Painted Dog Research (1992) now Painted Dog Conservation. He is a senior conservation biologist who spends almost all of his time researching African wild dogs in Zimbabwe and other African countries. Greg had a horrific plane crash in the African bush in 2003, which was featured in the Channel 4’s ‘ Alive’ and Discovery Channel’s ‘I shouldn’t be alive’ series. Stephen Mills is a professional naturalist, known for his work on studying tigers in India and Nepal. He wrote the BBC film Tiger Crisis, which helped to bring to international attention the rise in poaching for trade in tiger parts. As a writer, producer and cameraman, Stephen has made 35 films for TV, including Land of The Tiger, Man-Eater: To Be or Not To Be, and is author of the BBC book ‘Tiger’. As well as tigers, wild dogs, leopards and sloth bears are always high on the agenda for Stephen. He is a good all-round naturalist and a keen bird-watcher, and believes that properly managed wildlife tourism can contribute to the conservation of endangered species and have educational benefits to both the local population and the visitor.